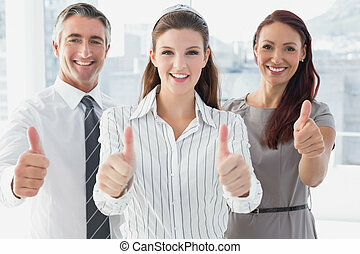 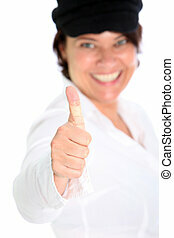 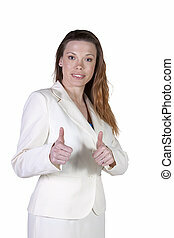 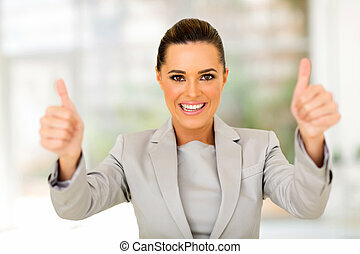 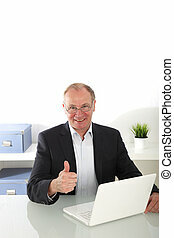 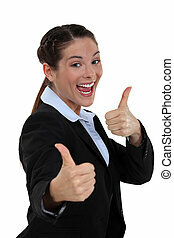 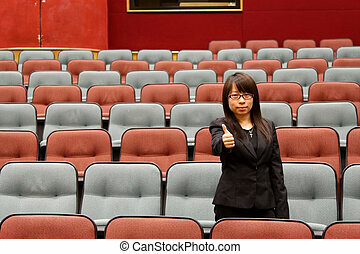 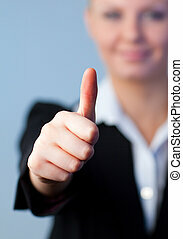 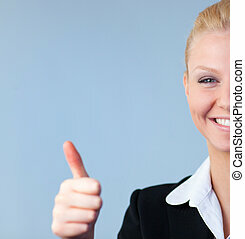 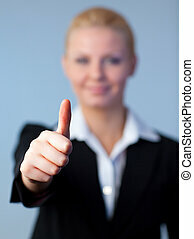 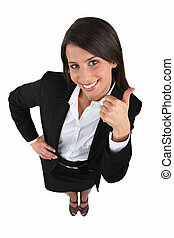 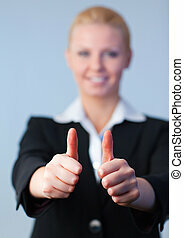 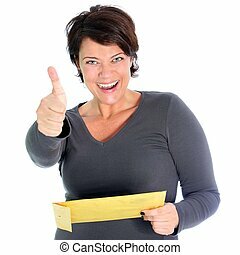 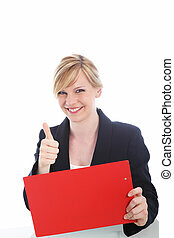 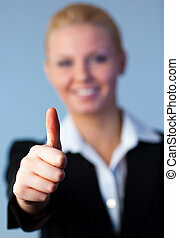 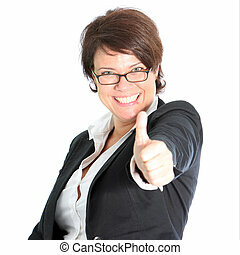 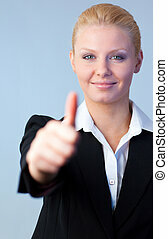 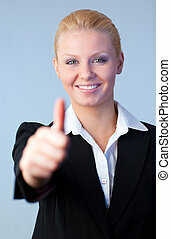 Businesswoman with tablet giving thumbs up. 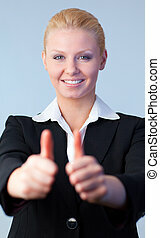 Attractive smiling businesswoman seated at her desk with a tablet in her hand giving a thumbs up gesture of approval. 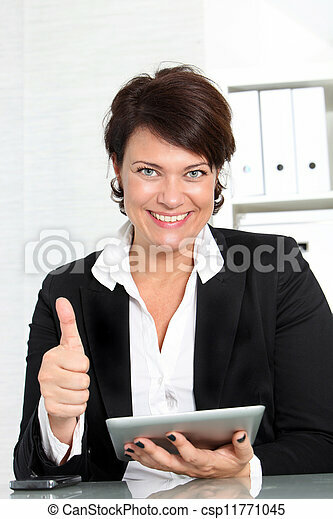 A business woman giving beautiful smiling while working on her Apple iPad or some other tablet. 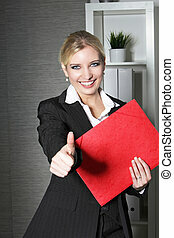 A business woman looking up and giving beautiful smiling while working on her Apple iPad or some other tablet. 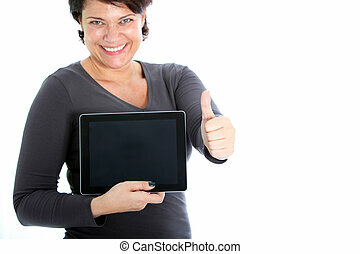 An excited brunette woman showing her iPad or some other tablet. 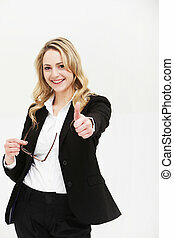 Smiling profile shot of a business woman sitting on her chair and posing with her cellphone. 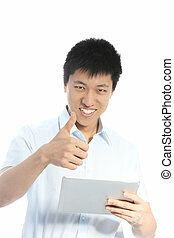 iPad or tablet on table. 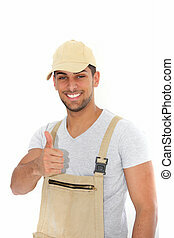 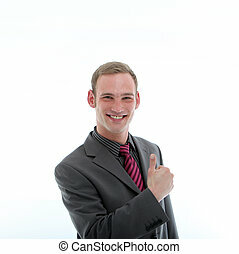 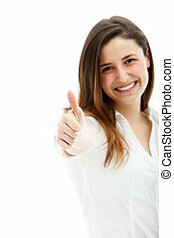 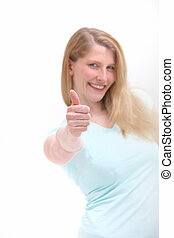 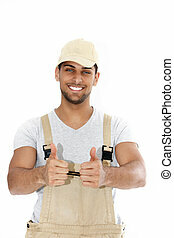 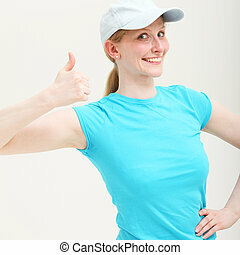 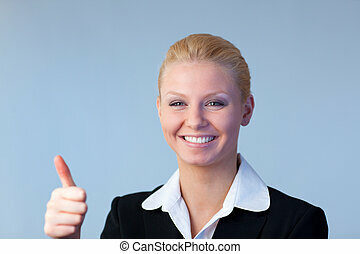 Smiling woman with her arm extended towards the camera giving a thumbs up for approval and success.